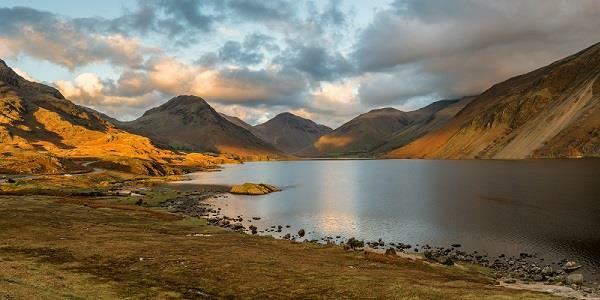 We all know that the Lake District is one of the most beautiful regions of the UK, with acres of spectacular landscapes to explore – it’s no wonder visitors flock to it year after year! But did you know that the Lake District is also home to several secrets? From astounding natural wonders to quirky local traditions, there’s so much to discover. Did you know that, despite its name, there’s only one official lake in the Lake District? Bassenthwaite Lake is nestled in the North of the Lake District, and is the only real ‘lake’ – although if we’re honest this is mostly due to language, rather than geography! The others are all meres (e.g. Windermere), tarns (e.g. Overwater Tarn) and waters (e.g. Ullswater), with mere being the least common and water being the most. 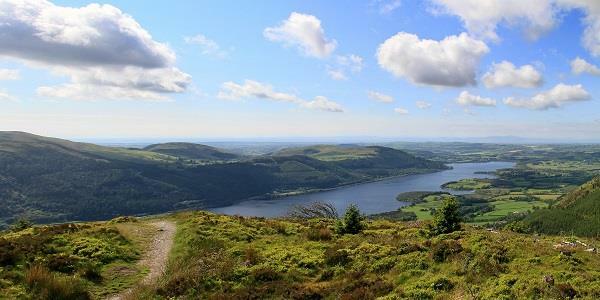 Bassenthwaite Lake is perhaps one of the quieter sights to visit in the Lakes. However, it’s a fantastic spot for hiking (Skiddaw has been called one of the most beautiful but accessible peaks in the area), wild swimming (due to being a bit shallower, the water tends to be warmer! ), and birdwatching. And being only a ten-minute drive from Ivy House, it’s definitely worth a visit. About an hour South of Ivy House, you’ll find Wastwater in Wasdale. At 80 metres deep, this holds the title of being the deepest in England. And it’s not just deep - Wastwater is three miles long and over half a mile wide! Surrounded by Red Pike, Kirk Fell, Great Gable and Scafell Pike, it’s a truly awe-inspiring sight, and in 2007 was voted Britain’s favourite view! With these deep waters, it should come as no surprise that some hold a few surprises! In 1929, when population growth created the need for additional infrastructure, permission was granted to build a reservoir in the Mardale valley (one hour by car from Ivy House). Haweswater was originally a natural lake, and its valley was home to two villages – Marsdale Green and Measand. Before construction could start, the farm buildings and peoples’ homes were pulled down, along with the local church and the pub. People were relocated, the inhabitants of the graveyard were moved and the valley was flooded – but several of the buildings remained. To this day, you can see the remains of the former villages when the water levels are low. 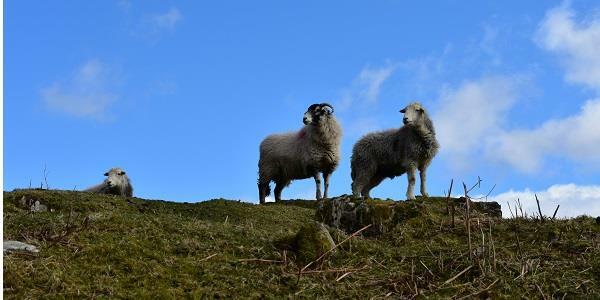 With some of the most diverse and unspoilt countryside in the country, it should be no surprise that the Lake District is home to several rare animal breeds. Perhaps the most famous amongst these is the distinctive (and much-loved) red squirrel. Sadly, the introduction of their cousins, the grey squirrel, has meant that these vibrant little creatures are now endangered; the Lake District is one of the few remaining areas of Britain where they can still be found in the wild. On top of this, the Lake District is also home for Britain’s only nesting pairs of Golden Eagles and Ospreys. 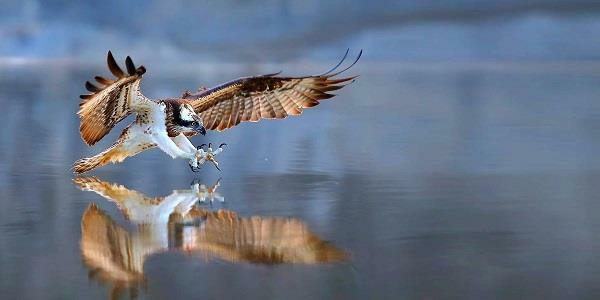 The Ospreys in particular are worth looking out for if you’re visiting Ivy House. They can often be seen in Dodd Wood, only 3 miles North of Keswick and 15-minutes from the property. There are two viewpoints set up for those wishing to see the nest… and there’s a good chance of spotting some of the other wildlife as well! Red deer, peregrine falcons, natterjack toads and barn owls are just some of the other rare breeds which call the Lake District home, so keep your eyes peeled! …or as it’s otherwise known, beer! 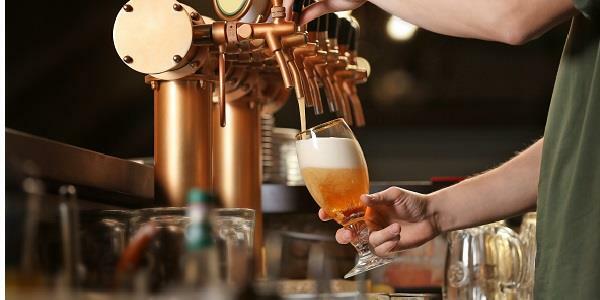 During the middle ages, beer was hugely popular. This was because in many cases, it was safer to drink than the contaminated water. Brewing was largely the job of women and many houses in a community would brew and serve their own beer. They would call it ‘liquid bread’, perhaps due to the use of natural ingredients or perhaps because it was so filling and nutritious! Today, the tradition of drinking real ales or ‘liquid bread’ has stuck. As well as a large selection of real ales on offer in a lot of the pubs, the Lake District also has hundreds of microbreweries, who only produce a handful of barrels at a time. There are dozens to try, so make sure to take the time to sample the local brews when you pop into a Lake District pub! We may take the humble pencil for granted, but did you know that graphite was first discovered in a mine in Seathwaite, back in the 1550s? This natural resource was just material needed to make the first pencil – this history of which is told in more detail at the famous Pencil Museum in Keswick, only 4 miles from Ivy House. You’ll enter the museum through a replica graphite mine, then follow the journey from the very first pencil production all the way to modern industry. There are miniature pencil sculptures, secret messages and – perhaps the crowning glory - the longest colouring pencil in the world (for those wondering, it’s 7.9 metres long)! The annual contest to find the ‘Biggest Liar in the World’ takes place at the Bride Inn at Santon Bridge in the Wasdale Valley, around an hour’s drive from Ivy House. The contest celebrates the story of a 19th Century politician named Will Ritson, who was known for telling rather tall stories. Once he claimed that the turnips grown in Wasdale were so big, locals could quarry into them for lunch and then use them to shelter sheep! 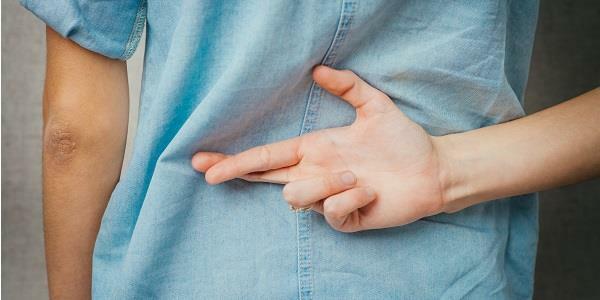 Today, each competitor is given five minutes to tell the biggest, most convincing lie. The winner is bestowed with the title of ‘The World’s Biggest Liar”! One fun fact it that the 2006 contest was won by TV presenter Sue Perkins, best known for hosting the Great British Bake Off. She told a lie about how the hole in the ozone layer really came about. The county of Cumbria is home to six times more sheep than people! Whereas Cumbria has a population of 500,000, there are over 3 million sheep. As the Lake District only has about 45 people per square mile, this means they’re rather outnumbered! The Lake District is the primary home to the Herdwick breed of sheep; a hardy type of sheep which is managed using traditional farming methods. These sheep can be credited with helping the Lake District maintain its picture-perfect look, grazing heather and grass evenly and keeping bracken and scrub at bay. Of course, in a region so full of history and beauty, this is only the tip of the iceberg. Start planning your next visit to Ivy House today, and see what else you can discover! For more information on how you can enjoy a stay at Ivy House, or at any of our other properties in the UK and abroad, just get in touch. Our expert team will be happy to help!